Are Your Vendors Using Multi-Touch Attribution? Probably Not! If you’re a dealer, you are used to vendors providing reports measuring their performance. These reports each present their own challenges because most vendors use attribution models supporting the metrics they feel are important and, as a result, dealers have no standardized report to help analyze and provide a true picture of results. Whether you’re a dealer or a vendor, constantly having to prove and/or explain performance can get old… very quickly. However, reports are a necessity for dealers to view results and vendors to self-evaluate. Is there a solution? Well, an increasing number of automotive marketing vendors are asking for our help as unhappy dealers are canceling their contracts because the vendor lacks the data needed to prove their value. There’s nothing more frustrating than knowing your solution is contributing to a dealer’s sales, but you cannot clearly prove it to dealers in a way they understand, in black and white. Unless you’ve been hiding under a rock for the last couple of years, you are likely aware of the emergence of “Multi-Touch Sales Attribution” as a more accurate way to measure the results of marketing campaigns. In a nutshell, Multi-Touch Sales Attribution is a workable model that identifies all influencing touch points along the customer’s buying journey. This model reports how much each marketing solution influenced the buyer’s decision-making process via a fractionalization of credit. One single source is never entirely responsible for a sale. There are simply too many variables influencing today’s buyers. In addition, each marketing solution uses different methods to capture and influence a buyer and then communicate that interest to the dealer. Then there are those solutions which are not so easily measured, including radio, television, and billboards, to name a few. This is where Multi-Touch Sales Attribution also helps. Multi-Touch Sales Attribution is a great way to help vendors prove their value to dealer clients and avoid the threat of cancellation. So, what’s the problem -- why aren’t more marketing vendors embracing this technology? They Think They Already Are: When it comes to data, it’s easy to have tunnel vision. Just like the horse with blinders on, vendors can focus completely on the metrics that support performance for their marketing solution, expecting dealers to understand and share their opinion on which metrics are important. Reports shouldn’t just use some data points that justify a certain point of view, while ignoring other data important to the dealer’s marketing success. Used like this, data can be very misleading and fail to provide a true picture dealers can trust. This can also cause marketing vendors to miss significant data which illustrate performance, or even unintentionally create a perception of bias or selective reporting. This further sows seeds of distrust on the part of the dealer. They’re Afraid to Share Data: Another possibility is that the vendor is afraid that sharing too much data will expose non-performance downfalls to their dealers. Or, they are uncertain of what data outside the perimeter of their metrics will show as far as their performance. They Don’t Have the Expertise: While all marketing solution providers must know something about metrics to justify their billing, not all have the level of knowledge needed to decipher the countless metrics and variables involved in a buyer’s journey. Many lack the level of knowledge needed to explain those metrics to the dealer client. As a result, dealers cannot gain a true understanding and don’t fully trust these marketing results. They’re Afraid to Lose Control: Most reports are generated in-house by the marketing vendor, then presented to the dealer via email, or in person by the account rep. The vendor may be afraid to provide Multi-Touch Attribution results in real-time, fearing they could not justify their solution and explain the results. While it may look great to the dealer for the vendor to claim total responsibility for a sale, the truth is that any vendor claiming complete responsibility for any given sale is simply incorrect. 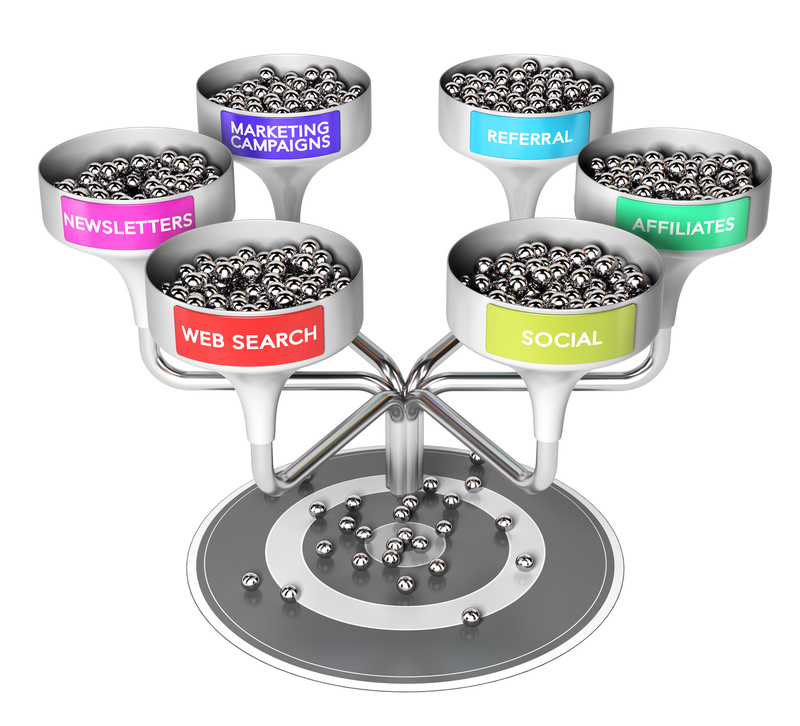 There are too many influencing factors for any one sale to originate from a single marketing solution. I know that because I can see the data, and have seen this prove to be the case MULTIPLE times. Vendors, I feel your pain, but there is a solution: Multi-Touch Sales Attribution. Dealers, encourage your vendors to provide real-time reporting via a Multi-Touch Sales Attribution solution. If enough vendors listen, dealers will have a uniform way to identify each marketing solution’s performance. You can then compare multiple solutions on an even playing field you can truly trust, rather than through multiple reports, each using different metrics and models. This way, dealers can make more effective marketing decisions and see exactly how each solution influences their customers at every touchpoint, rather than simply focusing on an erroneous report with meaningless metrics.